There is nothing worse than coming across a book you are really enjoying only to be pulled out of it because of some outdated and incorrect library reference. I know that authors and illustrators will not always get everything 100% accurate, but I when I read books that show a very dated stereotype, or something that is just so incorrect, I always wonder why. I feel like authors and illustrators should know better! And it's not just older books-it happens in new books too! 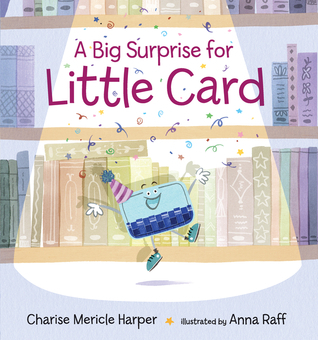 I recently read A Big Surprise for Little Card by Charise Mericle Harper and illustrated by Anna Raff. I absolutely loved this book! It's a creative look at libraries through the eyes of a library card. It's perfect for my outreach visits and storytimes about the library and promoting what value there is in a library card. Anna Raff gets major points for illustrating a very cool and hip librarian as well! But the librarian tells card to shush and is a bit annoyed when he shows up. And then library card helps his new owner stamp across all his books and stamp dates to return them. There's also mostly talk about how you can check out lots of books at the library-but libraries are so much more than books! We have computers, movies, music, devices, toys, databases, downloadable content, programs, meeting spaces-so much to offer! Sure, there are small libraries that still may use stamps-but most libraries don't. I feel like for an new book it could provide an updated view on libraries. And what about books that clearly violate a library policy? Most libraries I know have some sort of policy about unattended children. 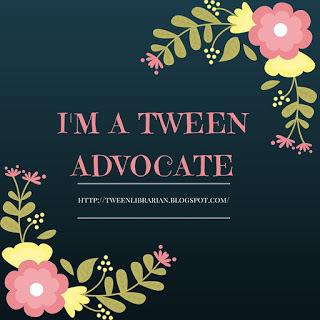 Libraries have an age limit to where children can be left alone. Yet in two recent picture books, the parents tell the kids "I'll be in the adult area-be back soon. Have fun!" leaving the kids alone. OK, maybe you can convince me that the boy in The Not So Quiet Library is old enough to be on his own but not true for the boy in Library Day! Especially when his Dad drops him off for storytime and leaves him there by himself! 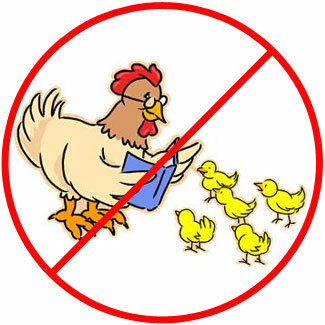 NOT OK! Not to mention how incredibly outdated this one is in its many references and illustrations of the library. This came out this year but it feels like it was written twenty years ago. I'm not the only one who has this problem-Goodreads is full of librarians who feel the same way. And I hate when books show illustrations or photographs of a librarian reading a book at storytime, only they are holding the book the wrong way and not showing the pictures! That's not how you do it! That's not storytime! It's so frustrating! Have any books shown libraries or librarians in a good light-or more realistic light-lately? Kwame Alexander gets the award here for the best representation of a librarian in recent literature. 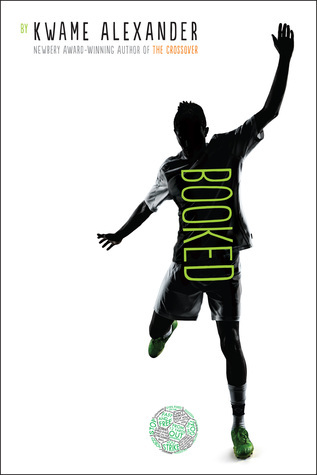 The school librarian in Booked is smart and funny, a bit nerdy and a bit cool (like many librarians I know! ), is always encouraging the kids to read and try something new and is always searching for a book they will like. He cares about his students, is happy to have them in the library and encourages them to use the library and all its resources. Do you get frustrated with libraries in librarians in books? Any recent bad (or good) representations of libraries and librarians you've read recently? Gosh darn it. Why didn't I read this BEFORE I ordered these books? Ha! Sorry Angela! 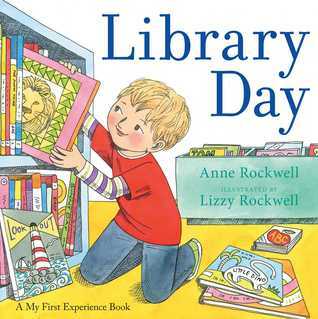 I was most frustrated with Library Day-not useable at all for outreach or library themed storytimes. 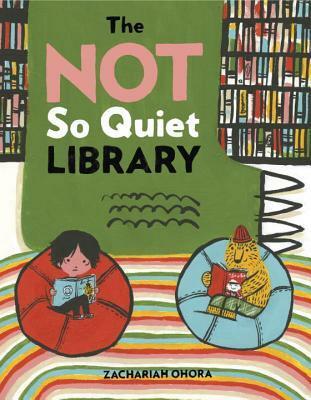 The Not So Quiet Library is still cute, I just won't read it in storytime. She has a great collection of library related clipart. And yes, the old lady stereotype is so frustrating! In the new Froggy Goes to the Library, Froggy is so excited he forgets to be quiet and sit still in storytime. The librarian in storytime stops and stares at him, and he just knows he's in trouble. But she gets up and has everyone wiggle with him. It's perfect for what storytime SHOULD be (and most are!). In the new Froggy Goes to the Library, Froggy gets so excited he can't keep quiet or sit still in storytime. The librarian stops reading, and he just knows he's going to be in trouble. But instead the librarian gets up and has everyone wiggle along with Froggy. What a better picture of what actually goes on in storytime! Oh man, our marketing person was using that chicken reading clip art for the longest time for our storytime promotions.